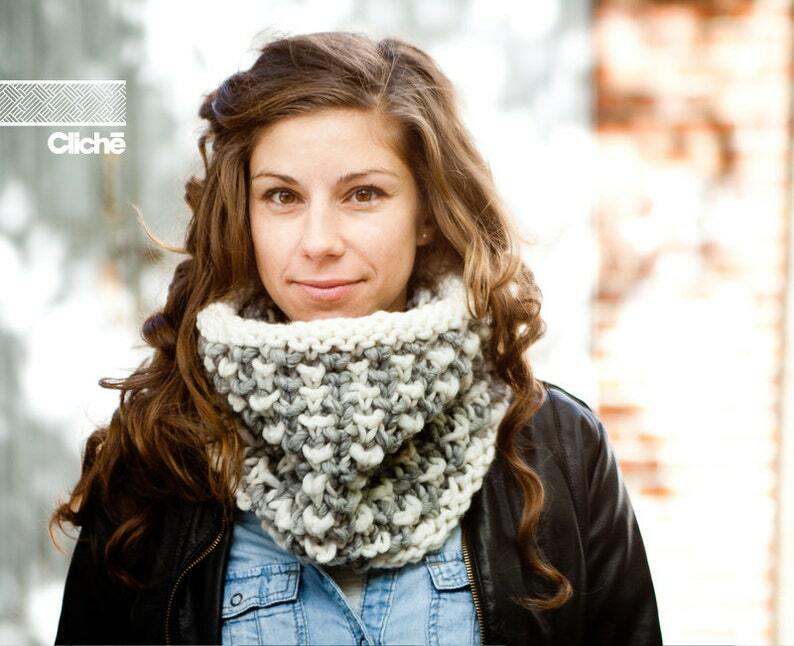 This snood is so soft that you'll want to sleep in it. In addition of his charm, his bicolor texture will fit with your entire wardrobe. It will take 1:30h to 2h to knit, super quick. An original handmade design, knitted in Montréal (Canada).